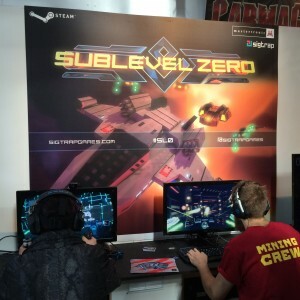 We exhibited Sublevel Zero for the first time with our publisher Mastertronic at EGX Rezzed. 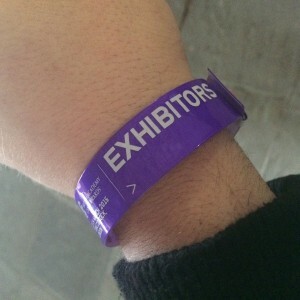 There we got some vital feedback as well as meeting some really great people. On behalf of the team I’d just like to thank you all for coming to play the game! On the first day, we had a few last-minute hiccups with out build, but we set up and prepared for the day. Luckily, the whole team was there to help us out! We had a few different configurations with the game, one of which involved dual joystick support with the Oculus Rift. After some brief moments getting used to the controls, some people picked it up very quickly. The demo build we had was pretty brutal. Lots of enemies, lots of damage. It was out first real playable trial with Phi’s procedural generation and it went amazingly well. Below are some pictures we took from the event. This was our busiest day for press too. Lots of interviews so keep an eye out for those! On the night we went to a party hosted by Beefjack where we met other awesome devs working on great projects. On the second day, me and Luke left the stand in the capable hands of Will, Phi and Jey armed with our laptop and Oculus Rift to explore Rezzed and have some meetings. Saturday was completely sold out, so that meant that it was absolutely packed. 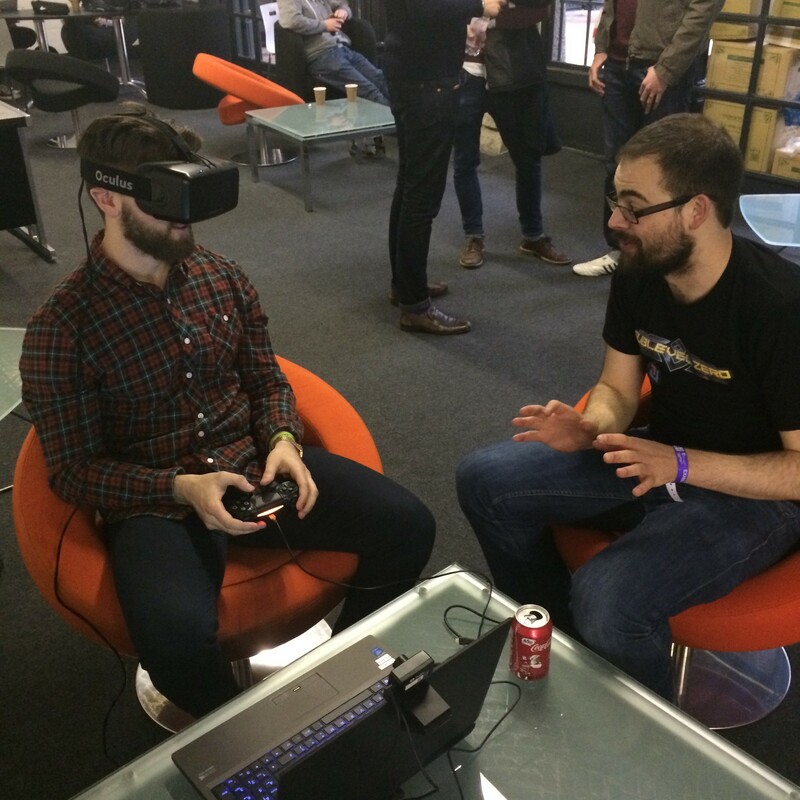 We had the fine folks from Mastertronic to help us out while we had some more meetings. 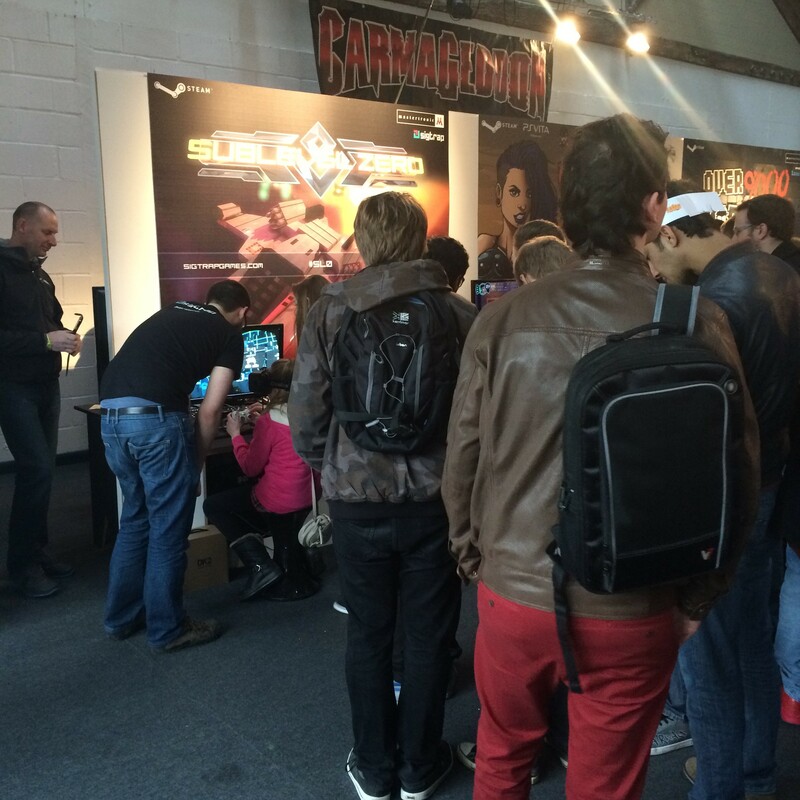 The queues were huge and people were willing to wait to get their hands on the game which was really pleasing. 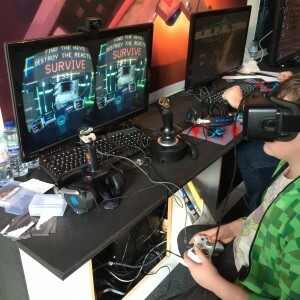 Rezzed was also the debut event for a brand new enemy to Sublevel Zero: the Rocket Drone. If you didn’t get a chance to play the game at Rezzed, this enemy fires a volley of rockets upon the player entering it’s line of sight. If it catches you off guard it can be pretty deadly. They tend to protect vital resources or level objectives. Take a look at it in 3D above through the power of Sketchfab. I’ve been working closely with Sketchfab for the past two years and I think it’s a fantastic tool for 3D game developers to showcase their work, so I really want to utilise it to share content for Sublevel Zero. Check it out! 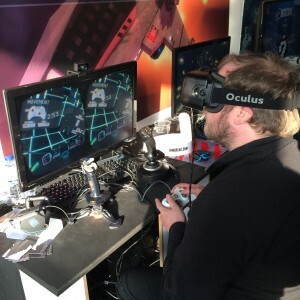 Since Rezzed, me and Luke have gone over and tweaked some of the original design elements of the game in order to make a more streamlined experience based off feedback from players.We’re looking forward to sharing more with you all over the coming months and will be releasing regular dev logs to let you all know what’s going on.